Business Process Outsourcing (BPO) has established its place in the Philippines. In 2018, it has shown a median expansion with a rate of 20 percent each year, which still has room for future growth. ASSOCHAM, India’s apex trade association, reports that their BPO services have significantly declined since more and more organizations are gearing towards the Philippines. This is due to the versatility of the Filipinos in terms of skills since they appear to be able to do it all. Filipinos have neutral accents, have extensive knowledge in finance, IT, and even in graphic design and social media management. 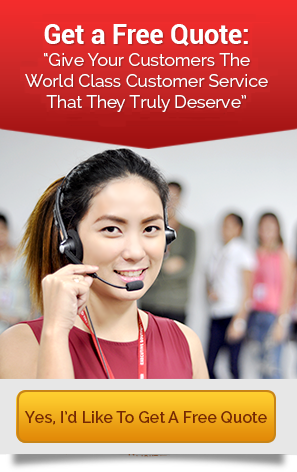 The skillset and talent of Filipinos have proved to be a valuable asset for BPO companies. A projected $40 billion dollars in revenue is projected to be generated by BPO companies while simultaneously providing stable jobs for 2.8 million Filipinos over the next five years. This industry has also highlighted Individuals specializing in fields such software development, web design, back-office processes, and call center operations. Such professionals are in the frontline in major BPO operations which they provide quality businesses around the globe while also cutting costs for labor, streamline operations, and scale the workforce as needed. Major cities in the Philippines like Davao, Manila, Makati, Quezon City, and Cebu City have turned as an outsourcing hub. This may be primarily due to the yearly produce of graduates and young professionals. After all, BPOs offer good work culture, competitive salaries, and numerous benefits. Some also offer the option of having to work from home as a remedy to the country’s unsolvable traffic and commute problem. It certainly attracts those with and without experiences alike. The BPO industry in the Philippines has also proved to be a vital component in the growing economy. BPO and call center companies throughout the countries have accounted to nearly 10 percent of the country’s Gross Domestic Product and are forecasted to employ some 1.8 million residents by the end of 2018. The Philippines’s Commission on Higher Education (CHED) has even assisted universities to offer curriculums focused on training potential BPO and call center workers. Speaking of Cebu City, it is also home to Executive Boutique (EB), one of the Philippines’ top BPO companies. EB provides excellent customer support, tech support help desk, and outbound calls. EB provides a desirable workplace, competitive wages, full health benefits, motivational performance bonuses, and team-building activities. They also boast a 3 percent average monthly turnover rate, which is way below the industry average which can sometimes be as high as 45 percent. EB also has all the key characteristics that companies and employees alike should look for from 24/7 tight building and computer security down to professional training and benefits for employees. EB has certainly established itself as a force to be reckoned with in the BPO world. Surely you can’t go wrong with Executive Boutique Call Center. Deciding to outsource some of your tasks is one thing, but making sure that you have a solid strategy (or transition) to get the results you want is another. Similar to setting a financial goal to be achieved at the end of each year, a business has to have a solid plan with clearly formulated action steps to follow to make sure one arrives at that financial goal. Outsourcing, if done correctly, will result in countless benefits. It levels the playing field, especially when pitted against a giant company. It lends your company an air of expertise and gives it a much-needed boost. Outsourcing comes with some advantages. It is essential that you identify what your main objective/s is/are. Your goals may probably be along the lines of reducing costs, increasing your bottom line, using company resources efficiently, getting access to experts not available locally or internally, etc. Having a clear objective sets the stage for your selection of an outsourcing partner and negotiation process. It helps you set expectations for your company as well as your outsourcing partner. It also allows you to come up with a criteria to measure your success. Once you have identified your goals, you will be able to set your limits and boundaries or certain restrictions. You will recognize your core and non-core business functions, determine what you can and cannot outsource and whether you want to outsource to one company or several. For a startup company, you may want to hire a virtual assistant to help you with scheduling and administration tasks. If you are a medium-size enterprise dealing with sales, you may want to outsource market research functions or telemarketing. As a giant company, you may want to outsource manufacturing or customer service. Without a plan, it is difficult to reach your goals. Having a plan also means knowing how much you are willing to spend. Especially, for startups, small and medium-sized enterprises, who may have limited resources, setting a budget ensures you don’t blow things over and, you have adequate resources left for other endeavors like growth or innovation. Having a budget, also allows you to understand current costs and performance levels. When you know how much money is coming out, you will be able to determine your success by also knowing exactly how much or if money is coming in. Being aware of this, you will know whether outsourcing is working for you, so you move forward or if you need to make changes, to improve further. Once you have placed your goals, the scope of the services you want to outsource and determined your budget, you will then be able to formulate clear, critical but achievable factors to use as a gauge in measuring your success. This should be commensurate to your goals and budget. Formulating an outsourcing strategy that ensures success can be an overwhelming challenge especially if you are new to outsourcing. Our team at Executive Boutique would be happy to share with you valuable insights and proven strategies that are borne out of actual and years of experience. The services we provide encompass business segments including, but not limited to e-commerce, healthcare, financial, education, retail, travel, and tourism. Companies starting out face many challenges. And going up against established and bigger companies only bring on pressure. As a startup company, you face concerns on limited resources, a non-existent reputation, and a vague idea of your target market consumers. Looking at it from this perspective, it would seem that startups are fighting a losing battle against giant competitors. Good thing they can now outsource to gain a competitive edge! Business Process Outsourcing, which involves hiring a third party company to do business tasks, is an effective strategy for helping startups survive and thrive. The list that follows enumerates the ways a startup company can benefit from BPO. Perhaps the most significant benefit of BPO is its cost-effectiveness. With limited resources at your disposal, you most likely do not have enough capital to pay for monthly salary and benefits of an employee. With outsourcing, you save on recruitment efforts and providing benefits because they already have the right number of people you need to work on your projects or business functions. Working with a BPO company helps you get the work done, at your standard level of quality for a lower cost. Startups would jump at the chance of working with experts but may not have adequate resources to pay for their remuneration. Outsourcing makes it possible for them to work with the best talents and experts in the industry. Your partner BPO company is responsible for costs involved in selecting the perfect talent – providing them the necessary training and tools needed, and replacing them in the event of sudden departure or resignation. In our digital age where everything is fast paced, timing is crucial. As a startup company, you cannot afford to wait especially when the demand for a product or service is ripe. It can take months for you to find the best candidates and experts to work on your project, and another month or two to train them properly for onboarding whereas, with outsourcing, they are ever ready and at your disposal. Outsourcing gives you the power to move and work faster, learn quickly and correct mistakes because your team members are industry experts and know exactly what to do and how to move forward – fast! As an entrepreneur starting out, it is easy to get caught up with mundane administrative tasks such as accounting, bookkeeping, payroll or even customer service because you are trying to save on costs. However, as a startup, you should devote your time and focus to essential efforts such as growth, creativity, and innovation for your business to survive. Free yourself from time- consuming business tasks by outsourcing them so that you have more time to do your core business functions. With a budget to consider, you may be tempted to scrimp on some business functions like IT or a customer service team. Modern consumers are more demanding, educated and have standards that you will need to live up to, otherwise you end up losing them. WIth your limited resources, you need to make wise investments and get added value for your spend. And outsourcing will give you more bang for your buck. They will enable your company to run an entire department providing services such as IT support and an exceptional customer service team. With Executive Boutique you can rely on us to provide you unparalleled BPO service at the most competitive prices! Talk to us today to know more about our products and services. So much to do in so little time? Are you feeling overwhelmed that you are now starting to question whether you made the right decision when you started your business years back? Looking back to the day your company first opened its doors, there was so much excitement, and it was indeed a long time dream coming to fruition. Fast forward to today – your work hours have just gone longer, and your weekends (or vacation) have become non-existent..
You’re starting to think your dream is slowly turning into a nightmare. If you’re in this predicament right now, it’s a clear indication of that your business in experiencing growing pains. It’s the right time to start outsourcing. Here are other signs indicating that it may be time for you to outsource. From recruiting to bookkeeping, to accounting, designing your website to updating it, fielding calls and email inquiries – running a business is time-consuming. If most of the time, you find it difficult to keep your head above water, then, it’s time for you to start outsourcing. Be wise and delegate tasks that are non-core business functions to ease your work burden. This a classic scenario that screams outsourcing. Start outsourcing office tasks such as encoding, scheduling, and customer servicing so that you get all the time you need to focus on enlarging your business. Since day one, you have been learning to balance the sheets, keeping tabs on your employees, managing your social media platform, but you are not getting better at it. As an entrepreneur new to the business, you may feel that you need to learn and be an expert, to carry out every function in your business, be a jack of all trades. But you don’t have to be, and you shouldn’t be. Instead of spending precious time in learning and perfecting skills that are entirely new to you, why not outsource it to skilled professionals who are already experts so that your business can start growing exponentially? One of the advantages of outsourcing is instant access to a wide talent pool of expert professionals. So there is no need for you to waste time in learning new skills. You can take your pick from the best of the best! Noticing that most of your day is spent on daily tasks required to run your business? And that at the end of each day, you are just too tired to come up with new ideas to keep your business growing? Reflecting on this, you are confident that this is the reason your business is falling behind. It’s time to reevaluate your strategy and decide. Start to outsource so that you can focus on the critical aspect of your business or you can stay where you are and accept that this is the best your business will ever be. Because after all, focusing on your business growth and keeping up with the current trends is all consuming. Remember those days when you couldn’t wait for your day to start at work? If those days are gone and you feel like dragging yourself to work each day, it’s time to make a change! It’s a sad reality, but there are entrepreneurs who no longer feel the joy and instead are feeling burnt out. If you feel your business is draining you and you’re no longer having fun, pause for a while, and evaluate. Let go and outsource the things that are time-consuming and choose to do those that you do enjoy! Start outsourcing some of your business tasks today! With Executive Boutique’s stellar track record of BPO management, backed by highly-skilled agents and cutting-edge technology, you can confidently shift your back-office operations to our outsourcing center in the Philippines. We offer services such as data entry, data mining, e-filing, claims processing, call center servicing and so much more. After careful consideration, you are now 100% convinced that by outsourcing some of your business tasks, not only will it streamline your operations, but it will also increase your bottom line. Now comes the challenging part of choosing the right BPO partner who is a perfect fit for your business. According to the Philippine Statistics Authority (PSA) report of June 2018, there are 851 registered BPO companies in the Philippines. With such an overwhelming number, how do you decide which company to choose? The list that follows are some of the criteria to consider so you can narrow down your choices and make an informed decision. The amount of time a BPO company has been in operation is an excellent place to start. The longer a company is in the industry, the more experience it has under its belt. Questions you can ask as the hiring company can be “How long have you been providing BPO services?” “What type of services do you offer?” and “How did you service companies similar to mine? Experienced outsourcing companies have a better idea of what your needs are and how to meet them. It is always to your advantage to choose a BPO partner that has a diverse portfolio of services. It may be the case that you only need them for administrative tasks like scheduling appointments and data entry as of right now. But, as and when your company grows, a great BPO company will be able to support your growth and scale with your business. It is a bonus, when the company can offer attractive rates for bundle servicing. You enjoy significant savings! It is also critical that your potential BPO company can articulate the business plan in delivering your services, be able to track results and come up with concrete steps in resolving issues so that you understand what you are paying for. It also doesn’t hurt if your BPO partner has accreditation in specific areas such as project management and quality control. Your potential BPO partner must be equipped with up-to-date systems and technology in delivering services to you. This ensures that your outsourced tasks are completed efficiently and promptly which translates to faster turnarounds and higher productivity. It is a known fact that outsourcing brings tremendous savings. So it makes perfect sense that you would want to get value for your money. Before deciding, carefully consider the package being offered – the services that come with it and the terms and conditions. The success of your outsourced services depends largely on your workforce. So it is crucial that you are aware of staffing arrangements like how they choose their talents; the talents qualifications and background; the training programs your potential partner offers. You would particularly want to know how many dedicated team members will work for your account to determine who will deliver faster turnarounds and best results. Be confident and choose Executive Boutique! We deliver excellent service and guaranteed results with our team of experienced BPO management, qualified agents and our cutting-edge technology. Get accuracy and efficiency at a fraction of what you are currently spending.